The interest in the American Colonial past was initially inspired by the 1876 Philadelphia Centennial when the United States celebrated its First Centennial, and ends with the advent of modernism in the years just before World War I. 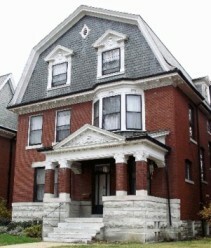 By the 1890’s the colonial styles had been well studied by Architects. 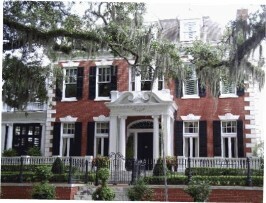 Sometimes referred to as neo-Georgian, the Georgian, Adams, and the newer Dutch colonial style, were the backbone of the Colonial revival style. Distinguishing the style, due to its striking resemblance to the earlier Georgian and federal styles, is difficult. As the Victorian period closed, and with the economic depression of the 1870s, people were ready for a change from the prevailing styles which had often become complicated and expensive both inside and out. 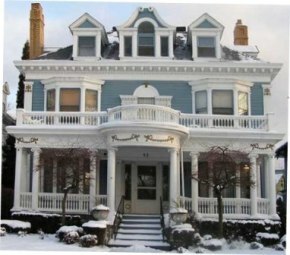 Part of the appeal of Colonial Revival designs was that homes could be built simply and cheap. Less expensive homes meant that more Americans could fulfill the "American Dream" of home ownership. In the late 19th century a great influx of foreign immigrants provided the needed labor for America's growing manufacturing economy. Identifying and preserving the memory of America's past came partly as a response to the development of new social and linguistic cultures. Plans for Colonial Revival houses were available from a growing publication of trade, periodicals, and architectural companies. As Architects also looked to the past for inspiration of Americas first one hundred years many late nineteenth-century businesses produced household and building products, particularly paints, millwork, and lumber, appropriate for colonial décor. 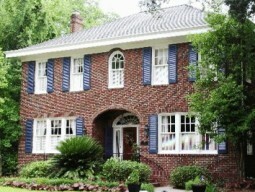 Many post-World War II suburban house styles were built in this style. Combining elements from Georgian and Federal styles, the architectural details are much larger in scale than the originals. 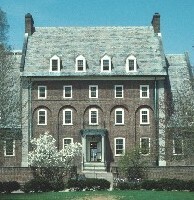 By the early 1900's, printing techniques allowed the affordable publication of photographs of original Colonial Homes. The Metropolitan Museum of Art began acquiring whole rooms and other artifacts from Colonial homes, moving them to New York City, and showing the rooms in the museum. The 200th anniversary of the birth of George Washington in 1932 also drew attention to the Colonial period. 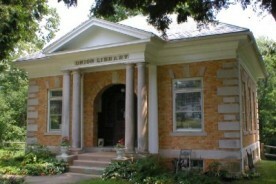 The Library of Congress launched its' Historic American Buildings Survey in 1933 and documented many Colonial homes. During the Great Depression, many states had WPA writer's programs who were assigned to document and photograph historic homes and buildings in their localities. As travel became easier visiting historic homes such as Mount Vernon, Monticello, and Colonial Williamsburg became more common. As these historical sites became popular the preservation of colonial sites in other localities increased. This fostered a nation wide appreciation for the American past and translated to housing architecture and restoration products such as furniture, hardware, and décor. 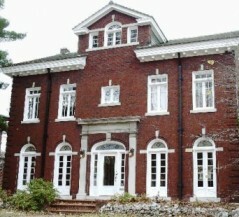 A garden was to be considered a must for a colonial revival house. The gardens were well organized and formalized with shrubbery borders. Hedges were used to encompass the yards for definition and privacy. Exterior structures included pergolas (immensely popular 1900-1930) and small arbors. 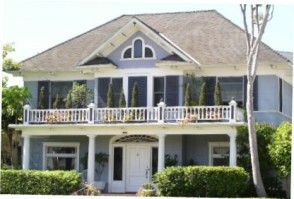 Colonial revivals were often painted crisp white with dark green or black shutters. 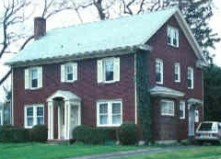 Colonial Revival sought to follow the style of the period around the Revolutionary War and became a dominant style for domestic buildings nationwide 1900-1940s.